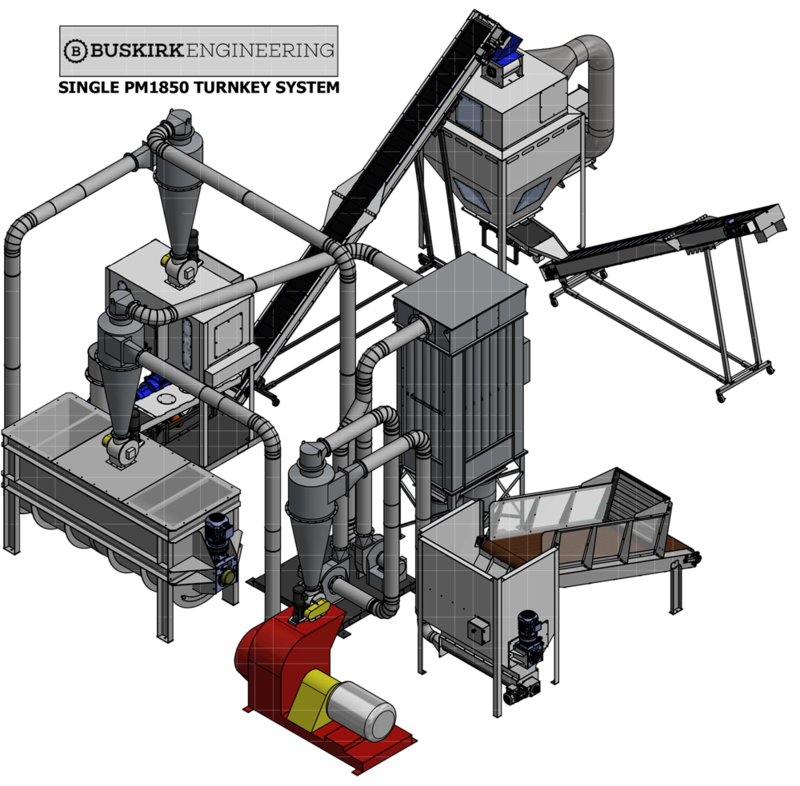 At Buskirk Engineering, we design complete turnkey systems for all of your material densification needs. Being the first company to bring such a solution to market, we can have you up and running in under 24 hours once delivered, on site. We also offer a complete line of ancillary equipment as well. From Bulk Holding Tanks and Handling Conveyors. Counter Flow Pellet Coolers and everything in between. Don't see something you're looking for, let us know. We can work around your vision.